Really? Can Mumma have just five more minutes? So that’s a no to five more minutes sleep then? It started around Christmas day last year when her obsession really began. 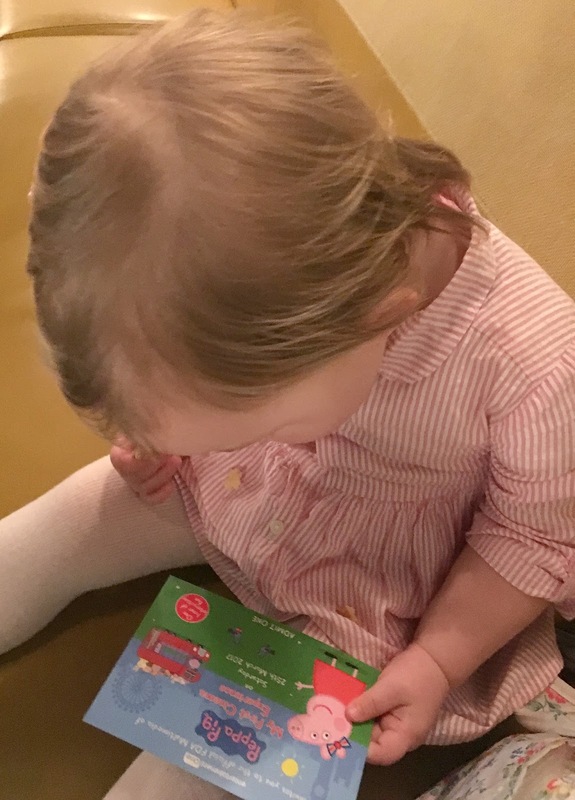 I wasn’t entirely aware of it, but it turns out the rest of my family were as she was gifted an array of Peppa Pig merchandise and excitedly exclaimed “Peppa! Peppa! Peppa!” as she opened each and every one of them. I didn’t even know she could say Peppa up until this point. But then I had spent most of the previous month with my head down the toilet or staring into space just trying to get through the first trimester with baby number two, so I think I can be forgiven for missing out on this particular milestone. 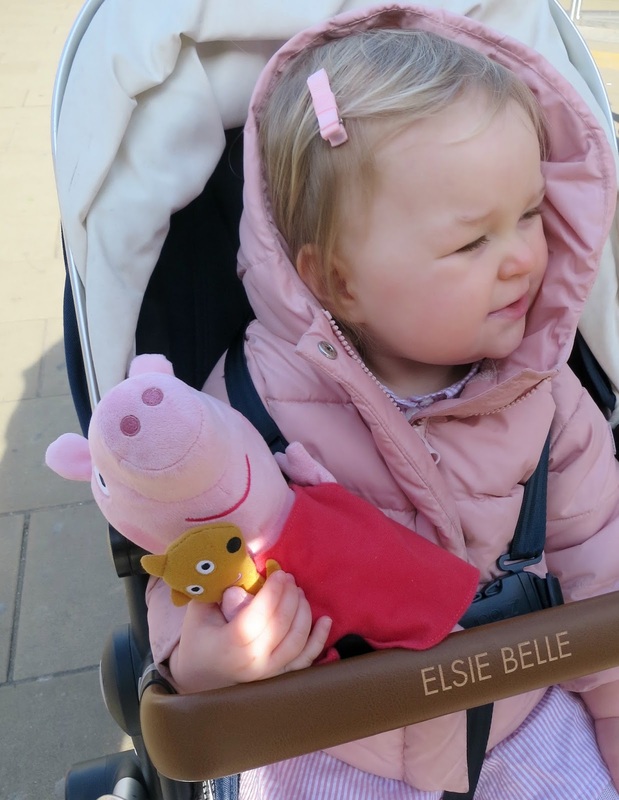 From that point on Peppa has well and truly made her cute little trotters feel right at home within our family, and it doesn’t look as if she’ll be oinking off to market any time soon. 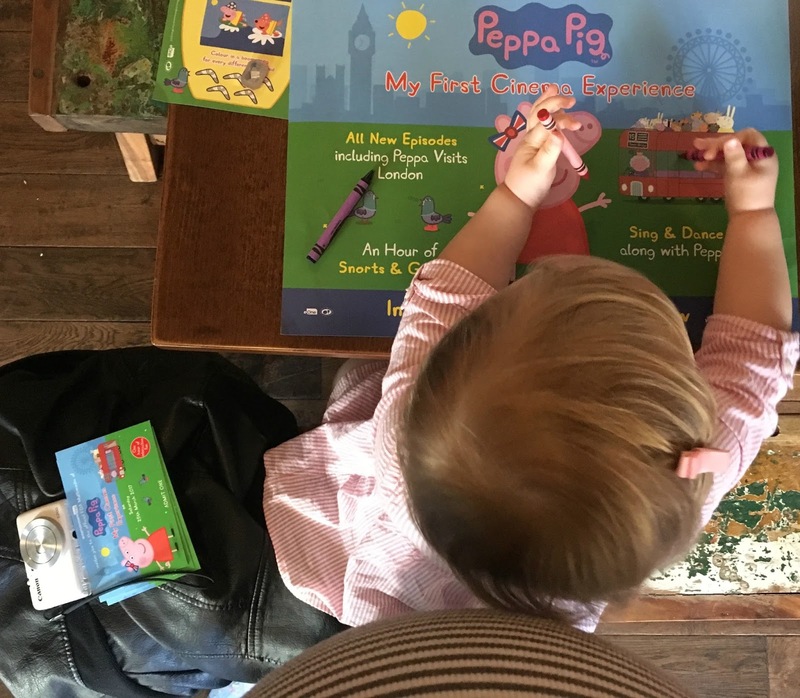 Luckily for Peppa and her posse of cleverly animated buddies, we are all becoming rather fond of that oh-so-catchy theme tune and piggy giggles. As much as I didn’t see it coming, we’ve embraced this global phenomenon wholeheartedly and I’m not ashamed to admit that I have a pair of PJ’s with Mummy Pig on. Whatever makes the sprog happy, makes Mumma happy. Aside from being screamed “Peppa!” in my face before the crack of dawn of course. Swings and roundabouts and all that. 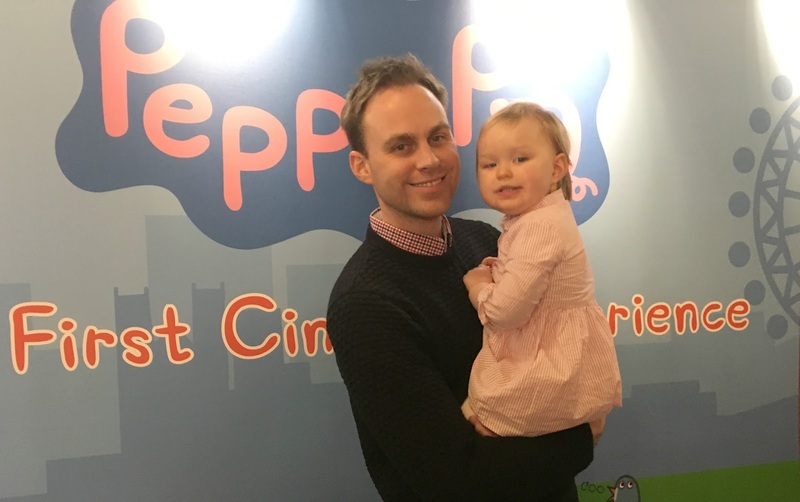 So when we were asked along to an exclusive screening of Peppa Pig, My First Cinema Experience, I knew that our little girl would be the perfect candidate to review the brand new episodes on the big screen. It’s tailored for the whole family. 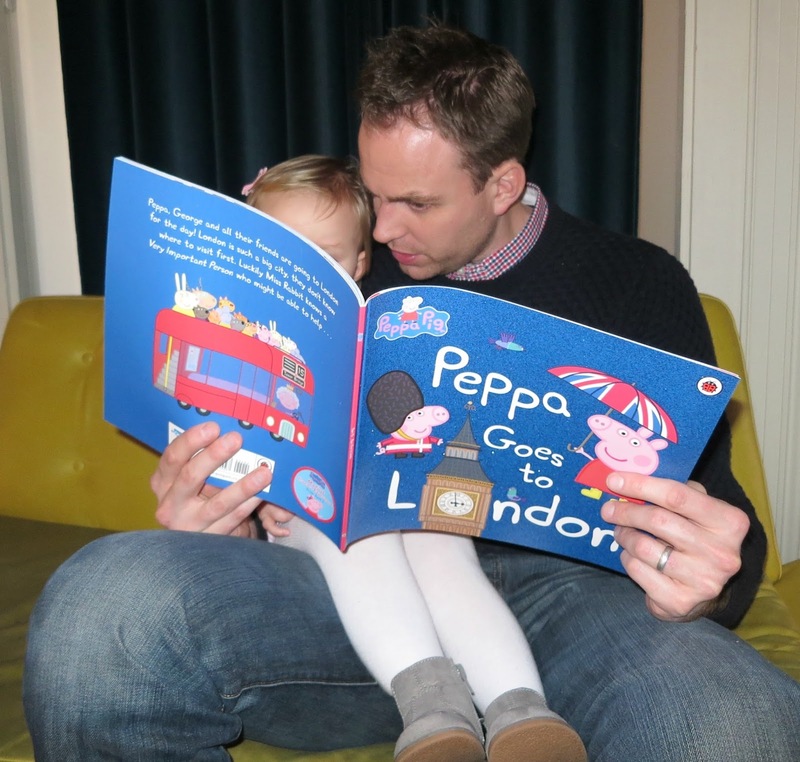 Peppa Pig’s creators, Neville Astley and Mark Baker, really have hit the jackpot when it comes to creating a children’s franchise that not only kids love, but parents can more than tolerate – they can actually enjoy it too. From the simplicity in animation to the little quirks that make everyone chuckle. From Daddy Pig’s “can do” (and usually fails) attitude to the way everyone falls over chuckling at the end of each episode. There’s something ever so heart warming and reassuring about the Peppa Pig sensation which is what makes a cinema experience so appealing to the whole family. It’s relatable storylines and adult humour is what makes it so likeable and parents are literally screaming out for new episodes. We’ve pretty much seen them all on repeat and know each episode better than we know what’s happening in the latest box set we’re watching when the sprogs are asleep. We all have our favourites, (the one where they all try to get Baby Alexander to sleep is a particular fave of mine; One that I can relate to immensely and take comfort in the fact that even baby piglets can be nightmare sleepers) and grown up’s will be pleased to know that the brand new episodes won’t disappoint. It’s entertaining and it really is very funny. It would seem that the writers have particularly upped their game when it comes to not only entertaining the sprogs, but their grown ups too. Taking us on adventures from London to Australia and meeting a whole host of new characters and familiar voices that have really injected a refreshing burst of fun into an already much loved family favourite. The Hubster and I loved the experience just as much as Elsie and we came home still smiling from the event and retelling all the new episode plots to our family! It’s completely tailored for little people. My only concern prior to attending the event was how on earth my little miss fidget pants would cope with staying a) seated b) contained c) controlled d) entertained e) quiet…you get the idea, for a whole hour. But again those very very clever Peppa Pig geniuses have thought of this and of course have created this cinema experience perfectly for those under two foot escape artists who find it hard to focus on anything for longer than a nano second. The brand new episodes are broken into 2-3 segments and pieced together with a delightful sing-a-long interactive intervals that will get your little ones up on their feet and shaking it all about before settling down for the next batch of brilliant episodes. Pure genius. 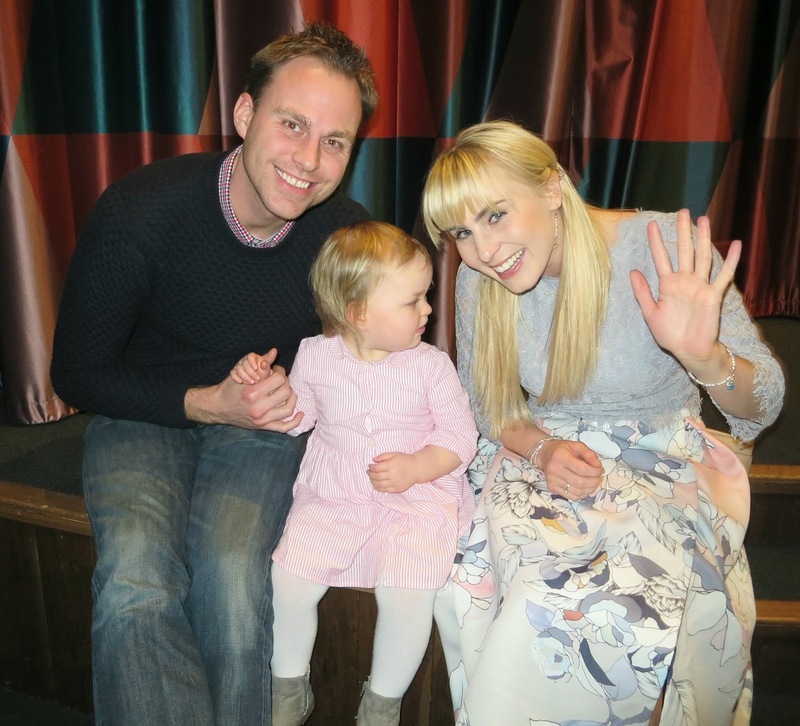 My little family absolutely loved the Peppa Pig, My First Cinema Experience. It will leave both you and your tiny humans feeling all warm and fuzzy. It made a lovely change from watching re-runs from the sofa. If you’re still in doubt, well there’s always the promise of popcorn! Peppa Pig My First Cinema Experience opens this Friday 7th April- absolutely perfect timing for a half term treat for all the family! 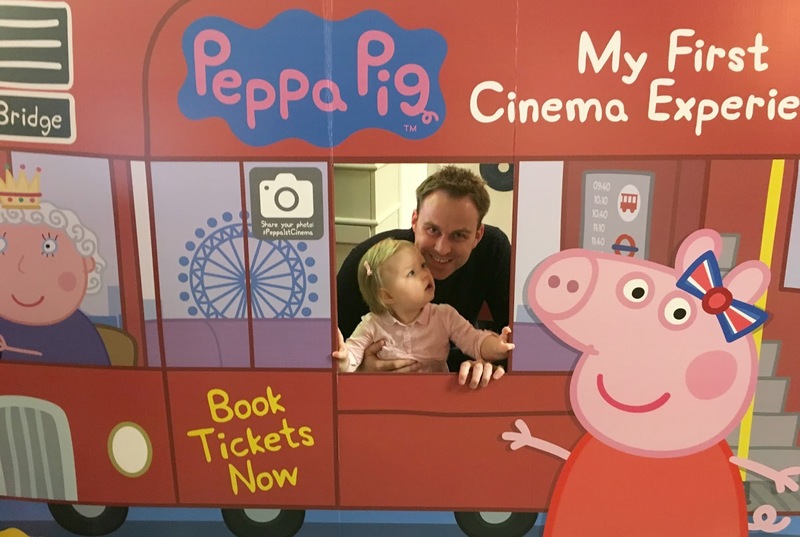 Disclosure: We were kindly invited along to the official FDA Multimedia of Peppa Pig, My First Cinema Experience. Thank you for supporting the brands that make this blog possible, particularly those who keep my eighteen month old happy.